It looks like the rumors that were leaked earlier regarding a Google branded Chrome OS netbook were indeed true. 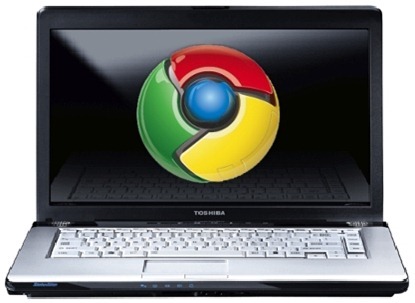 Google is planning to release atleast two sub $300 netbooks that will be powered by Chrome OS. These machines will sport 10.1 inches screen and will be powered by NVIDIA Tegra 2 platform. They’ll also feature 64 GB SSD, 2GB RAM, webcam, USB ports, GPS, WiFi, 3G and Bluetooth connectivity to go with it. Multitouch screens with GPS are also planned for high end models. These machines are expected to go on sale in 2010 holiday season for an approx. price of 200-300 USD. Not really impressed by the specs seeing that they are slated for a late Q4 2010 release. I bet there would be a ton more BETTER Windows based netbooks out by then. Umm, wait, did I just read 64GB SSD? Isn't chroms OS a cloud based OS in which all the data would be stored on cloud while nothing on the computer, or I am missing something? and where do you think the OS be installed on. A cloud based OS still needs some grounds to boot from and take user to GUI. nice question, still 64GB is a lot . . .